Hey everyone and welcome to my guide on the top nutrition certifications for sports and fitness professionals in 2019. This is for anyone that wants to become a certified nutrition specialist. If you have searched cool with the goal of finding the right nutrition program for you, you probably came out more confused than you did when you went in. That is why I created this guide. I want to give some clarification on the different nutrition certifications that are available. In the end, I suggest checking out the NASM FNS site, the ACE FNS site, and the ISSA fitness nutrition site. I highly recommend that you Take the quiz to get an estimate on which nutrition certification is the best fit for you overall. This is just an estimation, read the article to get the full understanding. If you have any questions or concerns about nutrition programs, drop me a comment here and I will get back to you within 24 hours. You should also take a look at my article on the top health coach certifications and best group exercise certifications. Who's allowed to give nutrition advice? There is also a widespread confusion between holding a nutrition certification and being a dietitian and the schooling/requirements for both of these. In addition to this, there is widespread panic for who can give nutrition advice. As a fitness professional, are you allowed to give nutrition advice? Will you get sued? The overall answer is, no you will not get in trouble. I will talk more about this down below. By the end, you will have a clear idea of what each certification is about, in which one would be right for you. Let’s stop dillydallying around and get right into the best nutrition certification reviews! Remember that these certifications are mainly meant for individuals in the sports and fitness industry such as strength and conditioning coaches or personal trainers. So if you are looking for a sports nutrition certification or a fitness nutrition certification, these are fantastic choices! The NASM CNC or certified nutrition coach certification is the newest certification to the NASM family here in 2019. This certification is going to be replacing their old FNS or fitness nutrition specialist certification. There are multiple differences between the two as I will be explaining in a second. As a certified nutrition coach, you will be able to deliver quality nutrition information and behavioral change strategies to your clients. You will be able to use this knowledge to increase the likelihood of a successful lifestyle change of your client so that they can lose weight, gain muscle or achieve their health and fitness goal. The most cutting edge nutrition information related to wellness, building muscle and losing fat. You will learn a ton about the psychology of mental plateaus with diet and nutrition and how to get past them. Gain the skills on how to combine behavioral change with nutritional science so that your real-world clients can see the results that they deserve. Currently, the cost for the NASM CNC is $899. I have seen it drop to as low as $699 while on sale. Although this certification is a little bit pricier than the other ones, it provides an excellent well-rounded approach towards nutrition and behavior change that are both very helpful towards your client’s success. Check the current cost of the NASM CNC here. The NASM CNC does everything online through their study portal. This is one downside if you are a type of person that loves to have a hard copy of the textbook. The e-book is interactive and contains 24 chapters. 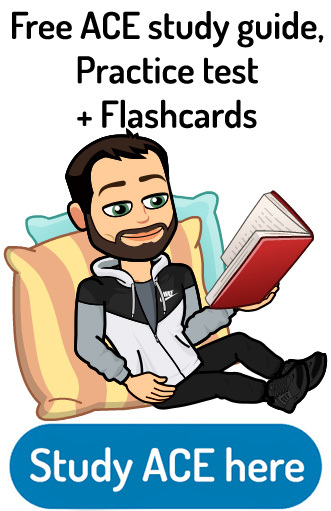 Within each chapter, you will find infographics, downloadable templates, interactive videos, mini quizzes (knowledge checks), chapter quizzes ( with 15 questions per chapter) and a 100 question practice exam. The 100 question multiple-choice exam is done online and you have three full attempts to take it before purchasing a retest fee. You need 70% in order to pass. From the date that you purchase the CNC you will have one full year in order to take and pass the exam. Currently, in 2019 this is one of the best nutrition certification options, but it has some fierce competition with the other certifications on this list. Here is a link to the NASM CNC as well as a link to the old NASM FNS. There are two primary differences between the old nutrition certification and the new one. The old NASM FNS was simply a credential that was mostly used to gain continuing education credit as well as useful information on diet and nutrition principles. The first difference is that the new NASM CNC is a full-fledged certification that you will need to get recertified with every two years. The requirement to get recertified every two years is essential in a field that is constantly changing with new discoveries on nutritional science. The second difference is that the NASM CNC includes a ton of information on behavioral change and how to implement and combine this information with the nutritional advice you give to clients. The NASM FNS did not have this information. Changing your client’s daily habits is just as important as giving them nutritional advice. The new CNC is kind of a combination of a nutrition certification in a health coach certification. 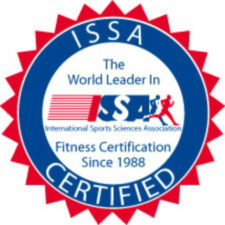 The sports nutrition certification from the international sports sciences Association is a relatively new fitness nutrition certification. In this nutrition certification, you will learn all about nutrition as well as the various sports supplements that are common. You’ll become an expert on how to gain muscle and lose fat using nutrition tactics. For athletes, you will learn about favorite concepts such as carbohydrate loading and how it affects sports performance. They also touch upon female athletes and special populations in the differences in nutrition requirements. Overall the program should last between two and eight months long depending on how much you study every day. This is another fantastic online nutrition certification. It seems like there is a theme with six months of study time after signing up for the certification. ISSA is no different. Currently, the value of the ISSA sports nutrition certification is $699. I frequently see this drop-down as low as $499. Check out the current cost for the ISSA sports nutrition certification here. This is one of the best sports nutrition certifications to choose from if you are a personal trainer. Especially if you are an ISSA certified personal trainer. Let’s talk about all of the study materials that you receive with the ISSA sports performance certification. A hard copy of the sports nutrition textbook. 300 pages long. A study guide to follow along with for the textbook. I like how you can ask ISSA professionals if you ever get stuck on a topic while you are studying. The online discussions are also helpful for bouncing ideas off other students studying the same issue. Check out the ISSA Fitness Nutrition Cert here. The American Council on exercise is an incredibly well recognized certifying agency in the health and fitness industry. For that reason, it’s no wonder why their fitness nutrition specialist certification makes the number two spot on my list. In this fitness nutrition certification, you will learn all of the essentials of nutritional science. You will learn the strong correlation between nutrition and body weight and how to change your clients perspective with evolving behavioral tactics. The ACE nutrition certification focuses half of their efforts on changing your client’s behaviors as they do on the nutrition aspect. This is an excellent approach to nutrition overall. You can teach your clients all day long about food, but if they don’t put it into practice when they are alone, it was useless. After purchasing the ACE certification, you will have six months to study for and take the test. There are no requirements for the ACE nutrition certification. There are two separate options for purchasing the ACE fitness nutrition specialist program. The next option is the hardcopy plus e-book textbook for $299. Check out the current price for the ACE nutrition certification here. When I personally purchased the ACE nutrition certification, I got the hard copy. But I just love the feel and smell of real paper. The curriculum and study materials that ACE provides are excellent for different styles of learning. 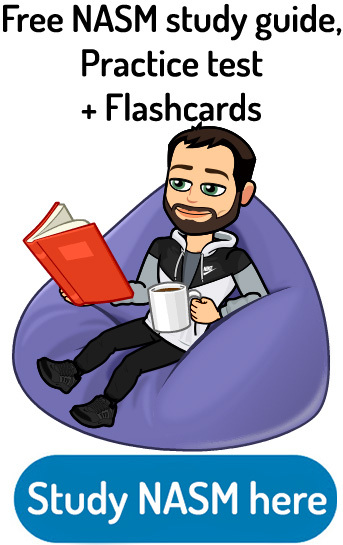 I got great use out of the coaching behavior audio as well as reading materials. They also have a strong emphasis on business practices and how you can make more money with the addition of this nutrition service. This is very beneficial especially for those of you who are strong business minded. Here is a link to the ACE Fitness Nutrition Specialist. Precision nutrition is the brainchild of Dr John Berardi. John is a professor and experienced coach that is also a former bodybuilding champion. Right now you can save on the on the NASM CNC certification! You will be able to teach her clients how to avoid fad diets and ditch food rules that are misguided. You’ll be able to teach your clients how to integrate fitness into their lives without completely dominating their lives. Teach clients how to set achievable goals and maintain a healthy lifestyle even when life tends to get out of control. Overall I really like what is presented in the precision nutrition certification. The information that they provide is definitely top-notch. There are only a couple downsides that I will explain in a second. The cost of precision nutrition is based on two different purchasing times. The regular non-presale list is listed at $999. If you join the presale list you can get a 20% discount and have it only cost $799. Shipping for the project cost $11 so you contact that on either to the presale list or regular sale list. Overall definitely one of the more expensive certifications. But they provide an excellent service, excellent information and a great way to integrate this knowledge with new or existing clients. 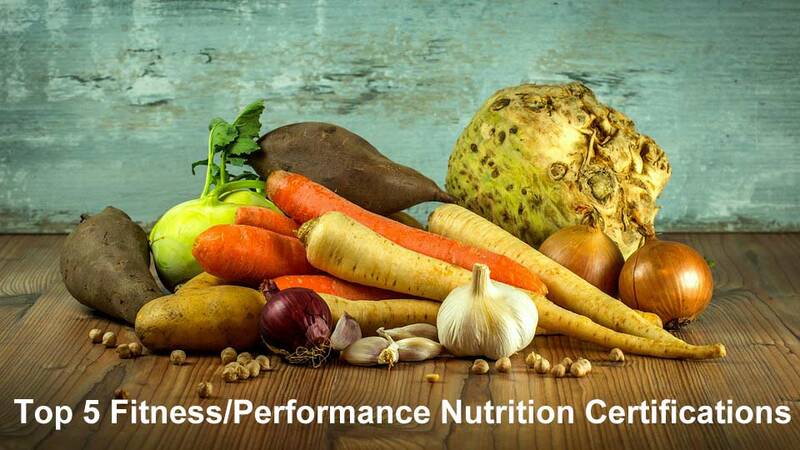 Some things to note: The precision nutrition certification only opens up two times a year (three times if they are in high demand). This means that you may have to wait up to six months in order to get this credential. Which is something that I think should be opened up year-round. Overall the curriculum for the precision nutrition certification is quite good. I really like how you get a physical textbook as opposed to an e-book. At the end of completing all of the study materials provided, you will need to pass the 18 chapter exams that each contain 10 questions each. So essentially, the final exam is 180 questions. Check out Precision Nutrition here. There are two different nutrition certifications offered by NESTA. The first is their fitness nutrition coach certification which is meant for the general public or general clients of personal training. The second is their sports nutrition specialist certification which is intended only for athletes or those looking to boost their athletic performance. Overall these are some of the more basic fitness/sports nutrition certification options out there. They will teach you some of the essentials in regards to making your clients healthier and more fit. NESTA has a decent section on doing nutritional assessments for clients and lending practical advice for performance enhancement for athletes. Both of these NESTA certifications also have a strong emphasis on building your personal training business and increasing your earning potential by offering nutrition advice in addition to your regular training. There are no prerequisites for this nutrition certification, and you will be given 12 months to take the test after you sign up. This is yet another all online fitness nutrition certification. Overall, the study materials did not blow my mind. They do however have everything available to you online and are very easy to access and study. Videos and the textbook are sufficient but are not optimal. 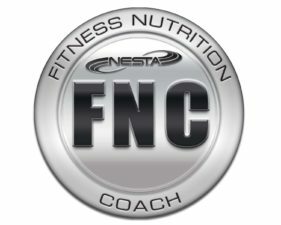 The cost for the NESTA fitness nutrition coach certification is $297. They also have the option to purchase and study for both nutrition certifications for only $449. This will save you $195 compared to buying both separately. You will learn how to be motivational and be able to change the lifestyle habits of your clients. This involves how to communicate effectively with your client’s nutritional concepts and teach them the importance of habit building. After purchasing the nutrition certification, you will have six months to take the test. There are no prerequisites to sign up for the AFPA. This is another 100% online fitness nutrition certification. There are two separate ways you can receive study materials. The first is the 100% digital access. This gives you access to the interactive e-books, full textbook, student practice activities, assessments and nutrition assignments. The textbook only version allows you to have a physical copy of the book, physical assignments but without the online learning platform. Both the digital access and textbooks are available as well. The current cost for the AFPA nutrition and wellness consultant certification is $599. You can see the AFPA here. Who’s allowed to give nutrition advice? The short answer is, it’s legal to give nutrition advice! This is especially true if you have some knowledge on the topic (i.e., a certification). What you are not allowed to do is prescribed a diet that is meant to treat an illness or disease for a client. Prescriptions are intended for registered dietitians (an RD) or medical doctors (MD). So if a client comes up to you and asks for advice on the best diet for their celiac disease, you’re not legally allowed to advise on this. On the other hand, if you are a personal trainer or strength and conditioning coach, for example, you can give nutritional advice for losing weight, eating balanced/healthy or advice on macronutrients for building muscle. All of these are acceptable nutrition advice that can come from someone holding a nutrition certification. You are allowed to talk about overall healthy nutrition practices, provide strategies to improve nutrition and offer tools so that they can incorporate this nutrition advice into their lives. Not only are fitness professionals in personal trainers allowed to discuss nutrition advice with their clients, but they are also absolutely encouraged to do so. This is due to the hugely increasing obesity epidemic that we are suffering in the United States (and in the world in general). As personal trainers or fitness professionals, the only problem is, lots of them don’t feel qualified to give this nutrition advice. If this is how you currently think, the logical next step for you is to obtain an accredited nutrition certification program. If you are a certified fitness professional such as a personal trainer or strength and conditioning coach, you probably learned a little bit about nutrition from your general CPT certification. This nutrition certifications go into a lot of the same topics of study but anyway more detail. You will learn all of the nutrition science fundamentals and how to apply them to your clients. You will go into how nutrition plays a role in sports performance, body composition and body weight. You will learn all about digestion, absorption, food intake, micronutrients, and macronutrients. By the end, you will be a full-blown expert in all of these areas. 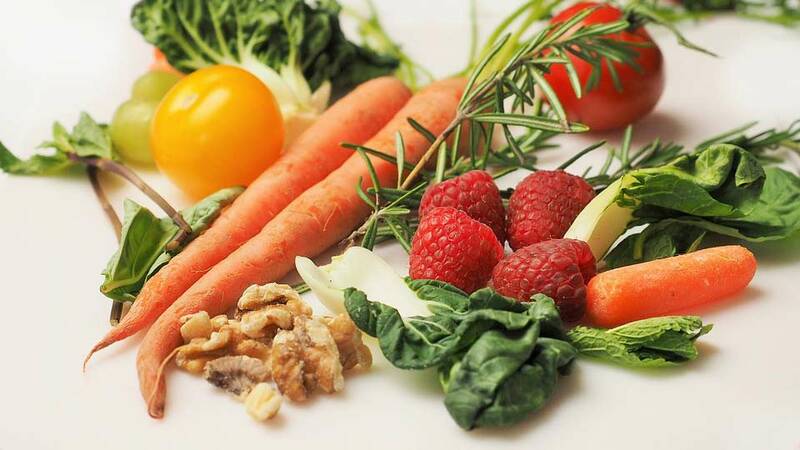 These nutrition certifications will also teach you a lot about habit building and habit changing, how to integrate nutrition into personal training/coaching as well as the business benefits you can receive from offering these new services. Speaking of studying for a nutrition certification, Here at PTPioneer, we are currently working on free study guides for the majority of personal training in nutrition certifications. Currently, we have finished the free NASM FNS study guide, and are working hard to complete the study guides for all of the other major certifications. Stay tuned! And finally, dun dun dun, here are some excellent accredited nutrition certification programs! Well, there you have it ladies and gentlemen, my article on the top nutrition certifications. I hope you guys walked away knowing the difference between a dietitian and a certified nutritionist. For now, I suggest that you check out my top three nutrition certifications below. 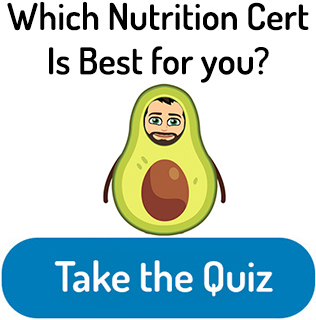 If you have not done so yet, Take the quiz to get a better overall idea of which nutrition certification is the best match for you. Remember, it’s not illegal to give clients nutrition advice! In fact, it is wholly encouraged! As long as you are not “prescribing” a nutrition or diet plan toward somebody attempting to fix a disease that they have. As trainers and coaches, we are responsible for helping our clients maintain a healthy lifestyle and weight. If we keep our mouths shut, we are accomplices to this epidemic. This is why it is essential to have knowledge of a certified nutrition specialist. Let me know what you guys thought of my top Six fitness and sports nutrition certifications. PT Certification from ACE, then an certification NASM FNS ? Is their any benefit from keeping both certifications from the same program? Go w one in program bundle, cheaper ? one accreditation better than the other? What are your thoughts on other “ Functional Medicine “ programs out there? Thanks for the shout out for the blog I am glad you are getting some good use out of it. To be honest I do not know too much about functional medicine certs sorry I cannot help more on that topic. Best of luck in your search! Hi Tyler. I’m a follower of your posts. Iam very interested in doing a cert on nutrition. Iam not a CPT certified. So cannot take ACE as as a prequesite to be called specialist by then one needs NCCA accredited cert beforehand. So m torn between NASM or NESTA ( more economical). So can u give me n idea in terms of learning about nutrition and helping clients how different is one from the other. How much would I benefit form NESTA? Thanks ! Honestly I believe that the NASM is the better of the two certifications. Not just in terms of the curriculum but also in the way that NASM structures all of their certifications as well as the reputation that they have within the industry. When it comes to the nuts and bolts of the information though, most of the nutrition certifications are similar. I just like the layout of NASM. Great read, thank you!! I’m trying to decide between NASM and ISSA. My fiance is a personal trainer, mainly with male athletes as he’s a football player. 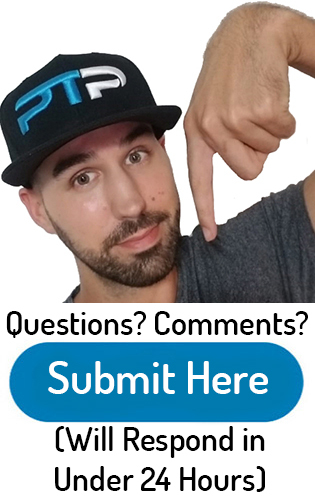 I have had many requests from teammates as well as females I work with to help design meal plans and macro #’s as well as the best supplements to take. I read and a lot and know what works for me, but have decided to aid in the business and get certified. I like both courses for the nutrition but see ISSA assists in supplementing as well. Is there one program you like better or recommend? I think that both certifications are packed with helpful information and that you would get great use out of both ISSA and NASM nutrition certifications. That being said, in the personal training industry NASM is a little bit more recognized. For example if you are a personal trainer as well as trying to offer nutrition advice, potential employers might recognize the NASM brand name slightly more. If this is not make any difference to you, I think both are very close to one another in terms of the information you’ll gain and the quality of their study materials they provide. Hi! I love your posts! they are really helpful. 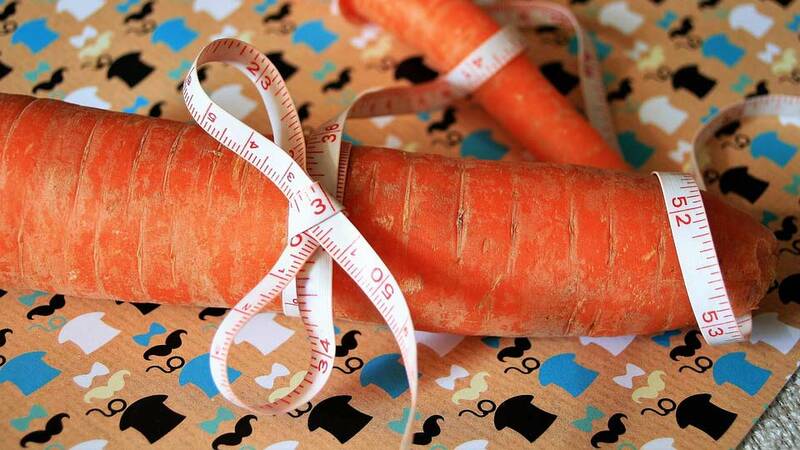 have you ever heard of The Precision Nutrition Certification? i’ve heard so many good reviews and i wonder why you did not mention it in your post. how is it compare to NASM?? Yes, I indeed have heard of the precision nutrition certification. It does have good reviews and I am in the process of doing a full review on it as we speak. I will be adding it to this list in the coming week or so and I will also have a full review on it that will go a much more in-depth talking about the features. I am also doing this for the new NASM CNC certification as well that just came out a few weeks ago. Make sure to stay tuned and thanks for stopping by to drop off a comment! I don’t have any formal training in the nutrition or sports field. My background is a BA in Psych and I’ve worked in the HR field most of my career. I have spent the last 2 years training in the gym and eating mostly ‘clean.’ I have learned what my body responds to solely on my own. I’m proud to say I have lost 40 pounds and I’m in the best shape of my life. Would a nutrition certification be of any benefit to someone like me? Could I use it to teach others or do I have to have the personal training background? First of all, I would like to congratulate you on losing 40 pounds! That is an incredible feat and I’m so glad that you are in the best shape of your life. Absolutely, a nutrition certification can benefit anybody. Even if you do not end up charging for your nutrition services, the knowledge that you will gain from these certifications will help tremendously in your own pursuit of health and fitness. You can absolutely use these principles to help others with their nutrition even if you do not have a background in fitness or are a personal trainer. I hope this helps! From what I reaf about NASM, it doesn’t actually help with detailed meal planning for customers. But it provides more infor about food science. Am I right ? The NASM certification covers both objectives Gomar. Check out NASM’s Brand NEW Certified Nutrition Coach (NASM-CNC)! Hey Kyle, I know! Looks like a fantastic nutrition coach certification. I wonder if they will be phasing out the FNS now. I will be updating this article as soon as I get some more information under my belt on the new NASM CNC! They are phasing out the FNS. I am in the middle of doing a full review of the new NASM CNC certification. I will update this article as soon as it is done as I know that they are phasing out the FNS. I will have a full review coming out soon as well as update all of my old articles so it better portrays the nutrition certification offered from NASM. Stay tuned! Thanks, I’m working on the review for the NASM CNC currently and it should be up within the next week so stay tuned! Hi Tyler, Thank you for all the help with all the diveristy of certifications. 1. I am a register medical assistant in FL do I qualified to be certified with any of your favorite 3 or I need prerequisite? Thanks! 2. Do I have to be a CPT or become one with any of them? Thanks! Yes you are qualified for any of these nutrition certifications. You do not need a general personal training certification. Good luck with all the studying and let me know if you have any other questions. I will thanks Tyler for the answer it was helpful. Hi, I am more interested in nutrition certificate, I found that ISSA and NASM are more on fitness training. What course should I take for the certified nutritionist? Is AFTA suitable for me to study? Would really appreciate if I could get your reply. I am a registered nurse and would like to add an certified nutrition certificate. What course exactly do I need to take? It’s a little confusing out here with so much information. I’d like to start as soon as possible and am reading on my own to help me as I go through the course. Thanks for any information you can provide!! Hey Jan, it depends on whether you are trying to become a registered dietitian, nutritionist or simply get a nutrition certification. Nutrition certifications are mostly for people in the health and fitness industry that work with clients and would like to add additional value. It depends on what you are looking for in the certification. hi. I don’t want to be a personal trainer, but I’m very interested in learning more about nutrition along with how that effects the clients performance in the gym. would a fitness nutrition certificate still be a good option to me? Yes absolutely. You will learn about how different macronutrients affect physical performance. Good luck with all of your studying and I’m sure you will not be disappointed with the information you learn from any of these nutrition certifications on the list. I hope this helped. Hello, I earned a BS in Nutrition 1981 (during the dark ages ☺️) fell victim to crime, dropped out of a graduate medical dietetics internship & became discouraged that I’d ever become certified/licensed to practice functional nutrition promoting health/wellness unless I could afford today’s inflated tuition to repeat all my chemistry courses before formally updating my nutrition knowledge though I have continued following up on my own. What would you recommend for my path into a second act (7 years ago retired on disability w/PTSD) career in the field ?? THANK YOU ! What were you going for back in 1981? Were you trying to become a dietitian or nutritionist? That’s what it sounds like with all the schooling you were trying to do. These are nutrition certifications for health and fitness professionals. These are great for people in the health coaching industry, personal training industry or sports performance industry. These do not replace the schooling you will receive to become a dietitian or nutritionist just to be clear with you. That being said, they are all fantastic options depending on the price point as well as the people you would like to work with. I hope it helps you answer some of the questions. What rubish, why I need to provide you my email to get my answer. I give a lot of great information on my site for free. I ask for email addresses in order to provide you up-to-date information on certifications in the health and fitness industry. But you do not need to give me your email address in order to find out which nutrition certification is right for you. By reading the entire article, you will be able to determine on your own which certification is right for your needs. Good luck with all the studying. Does this make any sense, or am I in the wrong department here? I work alot with “the average weight dropper” with fairly good results, but struggle more with getting results on those who are experienced and already at decent level of fitness. What do you think would be right way for me? A lot of this information is touched upon in all of these nutrition certifications mentioned in this article. But in general it sounds like what you’re looking for is more of information that a bodybuilding client might be interested in. Since most of these certifications want to be able to target the widest variety of individuals, it usually touches upon nutrition in regards to the average Joe and what their needs are. There are not too many people in the world consuming 5000 cal a day and still being able to burn fat without performing a ton of exercise. Professional athletes such as Michael Phelps comes to mind. This type of nutrition advice would be most beneficial for athletes so a sports nutrition certification would be what you are looking for. Thank you so much for your quick and informative response! I read in one of your comments that the NASM CNC would be top notch…? Is it? Would it be the most covering and extensive, or is it a degree you can brag about that holds the extra costs (you have to recertify every 2 years?)? You said a sports nutrition course would be more suitable? Do they cover a deeper matter? Do they only cover nutrition regarding sport performance and competition? Yes, I’m actually in the middle of doing a review of the NASM CNC certification. So far it does seem to be the most in-depth certification. The fact that you need to recertify with this nutrition certification every two years shows that they are dedicated towards keeping their fitness professionals up-to-date on current information. New discoveries in nutrition come along all the time and you will actually need to pass the full exam every single two years in order to stay certified with them. This will gain a lot of credit in the industry that is filled with one and done type of nutrition certifications that are not kept up to date. From what I’ve seen so far, there seems to be information on sports nutrition within the NASM CNC, but I have not had a chance to go through all of it yet since it is so new. After spending hours reading and comparing now, the “precision nutrition” comes up pretty often. And they have a massive infoshare out there now. Any thoughts on their course? They are not on your list, because it’s not top 5 or just not reviewed? What are your reviews on Precision Nutrition certification. I am currently in the process of reviewing the precision nutrition certification as well as the new NASM CNC certification that I will be adding to this list in the coming week or so. Thanks for stopping by and make sure to stay tuned for these updates. I am an issa cpt. I want to renew my cert with nutrition cert now. They are offering me nutrition +corrective exercise certification in total $865 with hard copies and shipping. Is it a good deal? Or i should GO for NASM? But that won’t help me renew my pt cert. Looking for advice. ISSA is also a fantastic option to go through for a fitness nutrition certification. Especially if you are already certified through them through their general CPT. They do have a lot of great options with certifications in combination so it sounds like a fantastic deal overall! Hi. if my daughter gets the FNS thru NASM, what kind of employment options does she have? She wants to be a health/nutrition coach but does not wish to be a personal trainer. Hello and thanks for stopping by. She has the option to become a nutrition coach if she does not want to get into the personal training industry. There is also plenty of demand for health coaches and it is becoming more popular as people really define what a health coach provides as opposed to a personal trainer. The NASM option is a good one because it combines all of the best traits of a nutrition certification with all of the best habit changing information that is included in a health coach certification. I hope this helps you.